as well as information, with this image recently found at a flea market. It’s a tribute and an act of love for photography because it is “pure subject”, took without any expertise. I felt the need to steal from oblivion and to continue to be a witness of this loving relationship anonymous and probably ended. 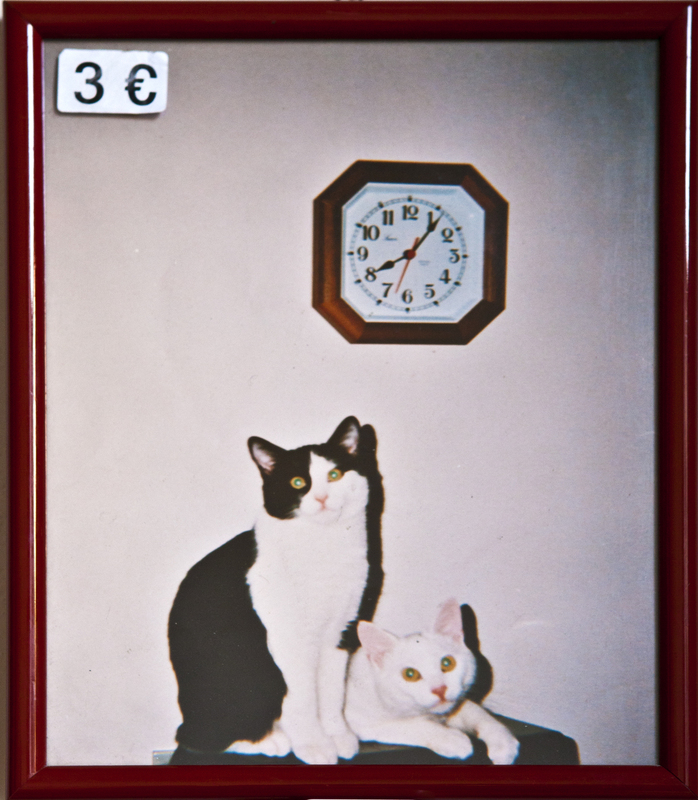 I imagined different stories about that clock and the cats owners (I think a lady owner), and I suggest the viewer to do the same, maybe thinking the cats who have crossed our path. caro Luigi, i gatti da soli riempiono spazi che noi non possiamo nemmeno immaginare. Bravissimo ad averlo colto .